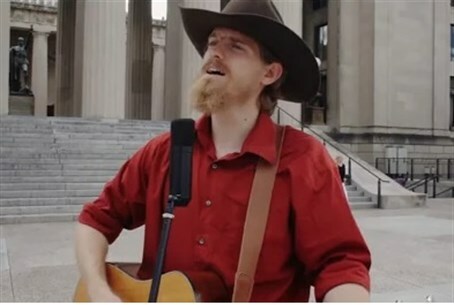 American Christian group HaYovel releases heart-warming country music video in solidarity with the Jewish state. A soulful country music video has been produced by members of the American Christian organization HaYovel, which declares resoundingly in line with its title: "Israel, You're Not Alone." The song is written by Zac Waller, a leader of HaYovel who wanted to do something to help Israel. He put that desire into expression in a top-quality Nashville, Tennessee recording studio. "Israel, You're Not Alone" was filmed in downtown Nashville and rural Franklin, Tennessee in less than half a day. HaYovel then reached out to Christians worldwide, enlisting them in the project by having them film themselves with signs showing their firm support for Israel. In just a short time, videos came in from the UK, America, Australia, South Africa and Canada. The filming in Tennessee was conducted just two days before Waller and roughly 500 American Christian volunteers were scheduled to fly to Israel to support farmers in Judea and Samaria. Arutz Sheva recently got the chance to sit down and talk with Waller, who declared his group would not be cancelling their trip to Israel in light of ongoing fighting with Gazan terrorist groups: "Right now is the most important time to support Israel."